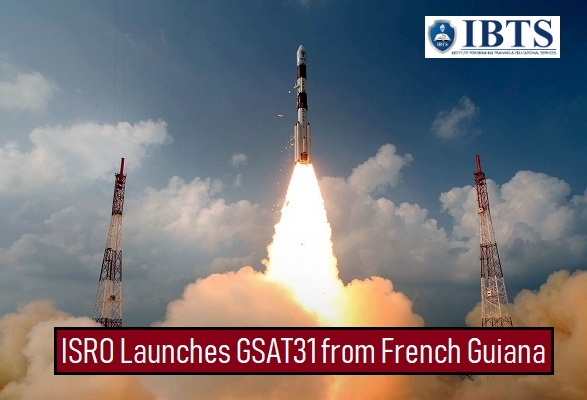 GSAT-31 (India’s 40th communication satellite) will provide transponder capacity for DTH television and connectivity to services like VSATs for ATMs, stock-exchanges, Digital Satellite News Gathering DSNG and e-governance applications. GSAT-31 had a lift-off mass of 2536 kg and operational life of over fifteen years. International Day of Zero Tolerance for Female Genital Mutilation (FGM) is a United Nations-sponsored annual awareness day that takes place on 6th February as part of the UN's efforts to eradicate female genital mutilation. It is recognized internationally as a violation of the human rights of girls and women. Swain was also elected as an MLA from Kabisuryanagar Assembly constituency in 2004. UAE had also granted 55000 squares meters of land for the construction of a Hindu Temple in Abu Dhabi. The ground-breaking ceremony witnessed by Prime Minister Narendra Modi in February 2018. The four-member SIT will be headed by retired UP Director General of Police, Atul, submit its report in 6 months. Till date, 585 marts in 16 States and two Union Territories have been linked with e-NAM platform. In the field of Music, eleven eminent artists have been selected, while nine artists each from Dance and Theatre have been chosen for the award. Ten artists will be awarded in the category of Traditional, Folk and Tribal Music. Two people have also been selected for the award in the field of Overall Contribution in the Performing Arts. The Akademi Award (established in 1952,) not only symbolizes the highest standards of excellence and achievements but also recognizes sustained individual work and contribution. Job Melas and fairs to market the products made by women microentrepreneurs were also organized by many states and will continue over the next two weeks. Shehri Samridhi Utsav is an initiative of Ministry of Housing & Urban Affairs (MoHUA). One thousand and 800 principals of these schools are participating in the conference. The Ministry had signed an agreement for India’s Participation in Programme for International Student Assessment- PISA 2021. This will lead to improvement in the learning levels of the children and enhance the quality of education in the country. As a part of the proposal, the first PMRU was established by NPPA in Kerala in collaboration with State Drug Controller, Kerala. India’s envoy to Argentina Sanjiv Ranjan has been appointed as the next Ambassador of India to the Republic of Colombia.